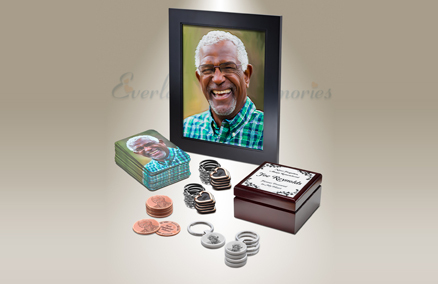 Choose cremation jewelry to find some comfort in your memories of those you’ve lost. Stunning pendants, rings, and bracelets have a small interior that will hold your choice of individual memories. Cremation urns are designed to be a decorative gesture of remembrance and serve as a resting place for cremated ashes. Choose from a variety of handcrafted urns available in different sizes and materials. Photo engraved jewelry is an expression of love for those that have passed as well as those still with you. Silver and gold pendants engraved with your favorite photograph cherish a moment in time. 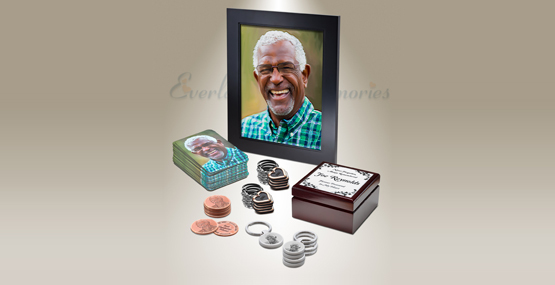 Personalized Memorial Gifts provide families with a way to share the memories of their loved one with close friends and family. Perfect for Funeral Services, Celebrations of Life and more. Pet remembrances serve as a opportunity to show your devotion for a pet that has passed from your life. 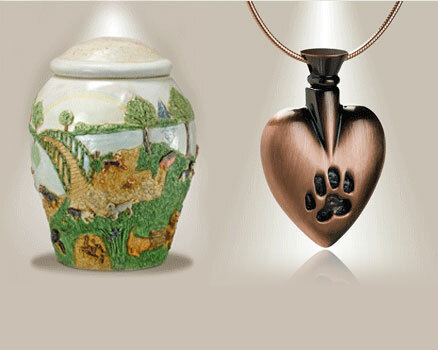 Stunning pet urns and unique pet themed pendants gives owners a memorial to their cherished pet. We offer a complete selection of high quality cremation jewelry pendants, photo engraved jewelry, and cremation urns to help families remember those they’ve lost. Losing a loved one or a special pet is difficult, and everyone grieves differently. "Ordered this beautiful ring online. It came exactly on date expected on tracking. It is more beautiful when you see it for real than the photo online. My Husband loves it and can now keep the ashes of our son close. There is nothing like this available in Ireland as cremation is very new. 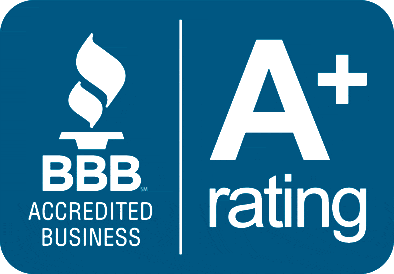 Thank you for your excellent product and service"
"We would rate your necklace (not the chain) and service as excellent. My mother in law was thrilled with the purchase and quality of the wooden heart. Delivery was very quick and the price was great. 4-1/2 stars." "I am very happy with my purchase of cross cremation necklace. I received it in a very short time and it was just as I had specified. I would and have shared this company’s website with others." "I purchased a cremation pendant after the loss of my pet. The pendant is beautiful and it arrived very fast. It is comfort to me knowing that I can have a part of him with me always. The quality of your product is also excellent. I rate it 5 stars."